Wednesday, November 4: Playing auditions for A Christmas Carol at The McCarter through James Calleri’s office. Wednesday - Thursday, November 4 - 5: Playing auditions for National Asian Artists Project through Michael Cassara’s Office. 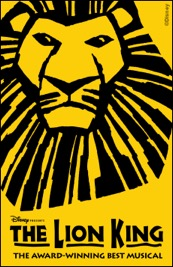 Thursday, November 5: Playing auditions for the Broadway production of The Lion King through Jay Binder’s office. Saturday, November 7: Playing class at The York Theatre Company with Michael Unger.